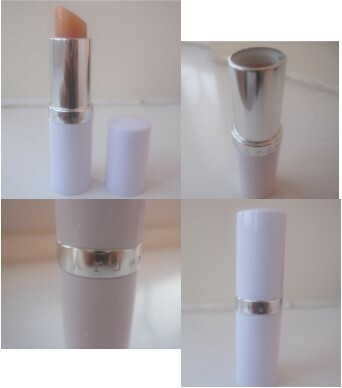 Elizabeth Arden Lip Balm Review! So I finally have a new post for you guys! so so sorry for the delay! The lip moistureiser is advertised to "soften and sooth lips and guards against the damaging effects of sun exposure"
It doesn't have any mintiness to it, or much flavour really, it's much more like Vaseline but less oily. And after using it for about 1 month, I quite like it! Not as far as love it, but it does help to heal any damages you might have on your lips. I would say this stick lasts for a surprisingly long time! I had used it daily for 1 month and there was still about half left! I used it mainly on the corners of my mouth, where there were small ulcers, and to be honest I don't like the feeling of it on my lips, because it feels kind of oily,and quite thick and heavy as well, but when I just left it alone it really did stop my lips drying out and kept them looking smooth and plump! So overall, I would recommend it to anyone prone to ulcers or cracking lips, but I personally do not like its texture and how it feels on the lips!